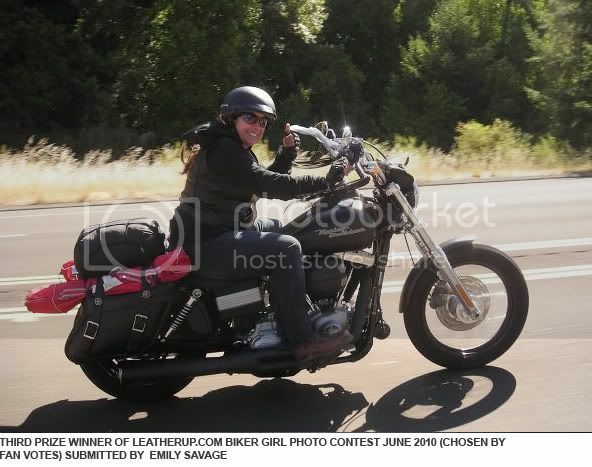 Thank you to all our fans for participating in the latest edition of Leatherup.com Biker Girl Photo Contest (motorcycle girl photo contest) Here’s a look at the winners. These are the photos that impressed leatherup.com judges the most. 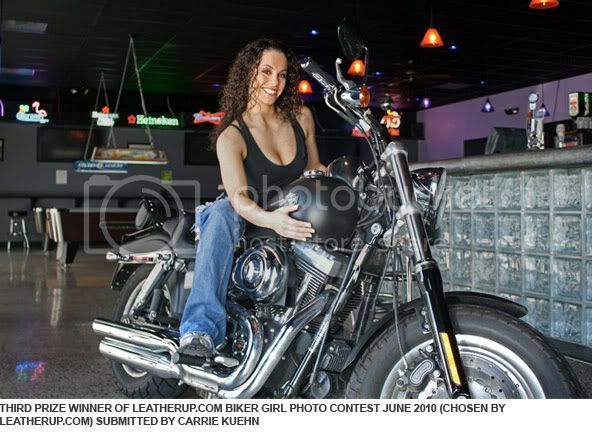 We give our grand prize to Kathy Locker—her picture shows a true artistic eye and we love the sheen from the polished parts on her motorcycle. We counted the votes (facebook Likes) you sent us by the deadline on our facebook page wall, and here is how you voted: the Grand Prize winner by fan votes is Dawn Rigsby. For her Grand Prize photo, Dawn received 69 votes. The 2nd Prize Winner (64 votes) is again Dawn Rigsby with another photo she submitted. And the 3rd Prize Winner by fan votes is Emily Savage. Her photo received 60 votes. 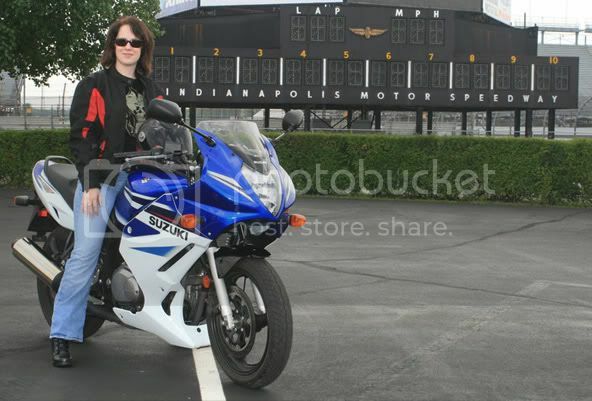 Here are some other biker girl photos we’ve received during the contest. How did that 3rd place winner get picked? That is one ugly, fat sow.